Five Minutes with Indian Author Karishma Mahbubani - GetLitt! It was only in the last few years that Indian author Karishma Mahbubani turned her passion for writing into a full-time profession and thank goodness she did – better late than never! Her earlier career as a dentist may have helped improve a child’s smile, but her true calling as a children’s book author, definitely makes children smile! Karishma is actively involved in early childhood education and is currently working on making the core curriculum for pre-primary and primary schools more exciting and fun. It is her books however, that make reading exciting for children who want to explore English literature. Before we begin the interview, let’s get to know a bit about her books. Karishma has published ten books and written numerous stories for children both young and old. GetLitt! has two of her books in our library and they both have strong messages that are delivered through lighthearted storytelling. 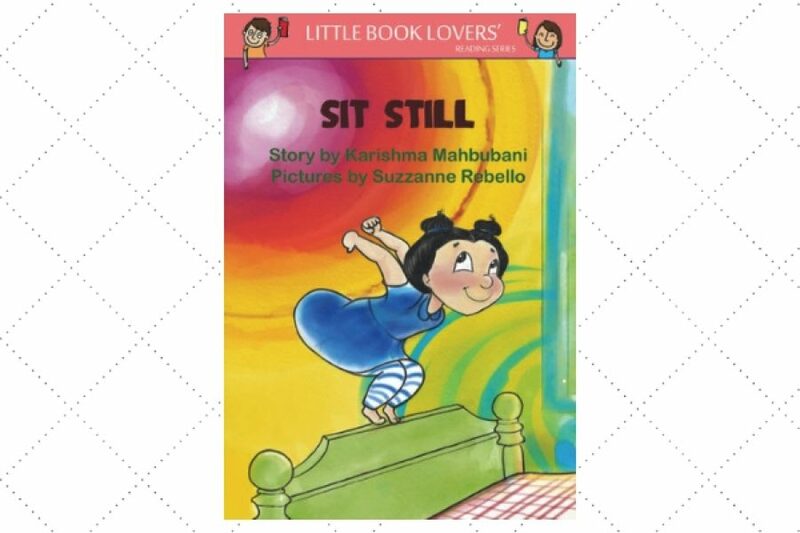 The book Sit Still is about a little girl, Viji, a fearless tot who can’t sit in one spot! She is always on the move, wriggling and fidgeting her way through daily life. Her behaviour often annoys people around her, but what can she do? Will she ever be accepted for her energetic self? 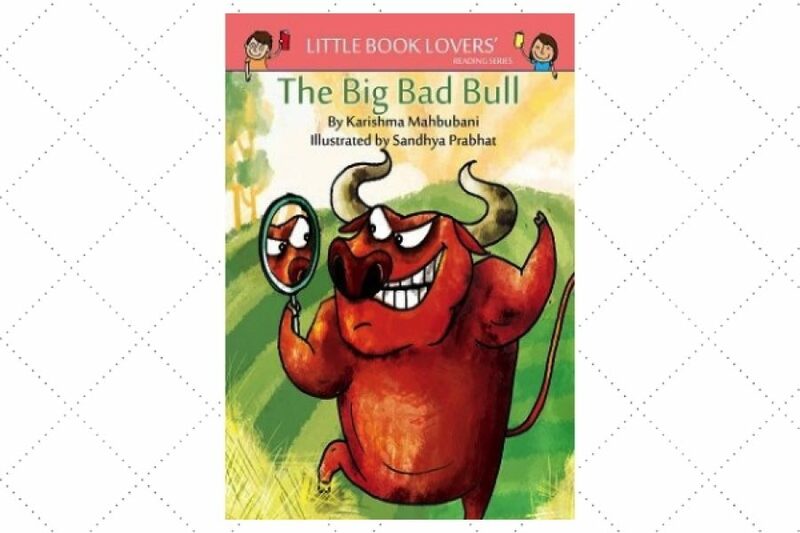 Karishma tells this story through simple rhyming text that makes this book a great choice for early readers. The other book available in our library is ‘The Big Bad Bull.’ This is a story about a bully in the shape of a, you guessed it, big bad bull! He terrorises the village daily, scaring all the animals. However, one day thanks to the courage of a little bird and the cooperation of all the animals in the village, the bull gets his comeuppance. A story about bullying told in a way that any little child can relate to – a must read. Well, now that you’ve got a fair idea of Karishma Mahbubani and her body of work, let’s get straight to our one-on-one! Karishma Mahbubani: As a young child I refused to eat a single meal unless it was accompanied by a story. As you can guess, my family soon exhausted their stock of fables and folktales. The storyteller, usually my poor mother, would be forced to repackage the plot of her latest novella into a suitable child-friendly version in order to make me eat. But once my meal was done, she would stop her narration leaving me to wonder what happens next! Growing up, my favourite pastime was to provide these unfinished stories with new endings. And eventually, I started writing stories to entertain myself. And others. Little did I know that I would one day turn my passion into my profession. My favourite things to write about are themes dealing with major changes and challenges that young children face as they grow up. I enjoy writing fictional stories with whimsical, fast-paced plots for young readers the best. Problematic pets, fidgety children, and courageous underdogs are some of the characters I’ve created, all of whom have been heavily influenced by real-life events. After all, aren’t the best fictional stories the ones that have a foundation in reality? 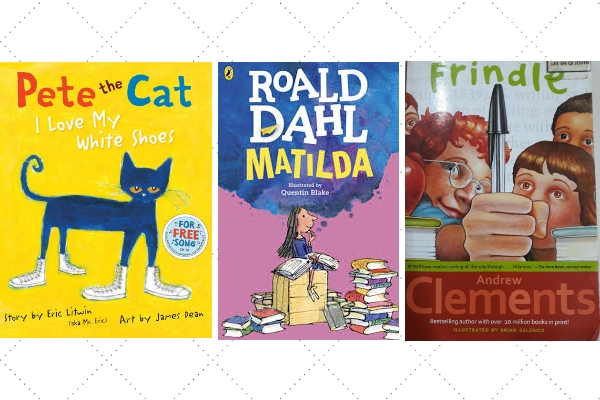 TGL: Which children’s book character do you think you’re most like in real life? KM: That’s an easy question to answer. If I had to choose a character who I share attributes with, I would have to say Hermione Granger from The Harry Potter series. I may not possess Hermione’s intellect and very possibly would fail in a Hogwarts School of Witchcraft and Wizardry quiz but I would like to think I share the 2 C’s that are synonyms with her: confidence and compassion. 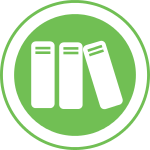 TGL: Tell us a children’s book you love. KM: Just one? So, I have three favourite books that occupy the number one spot. The first is appropriate for very young readers and called I Love My White Shoes. This is a title from the Pete the Cat series. I thank Eric Litwin for giving us this cool cat with such a positive attitude. The next is Roald Dahl’s Matilda. The villainous Mrs Trunchbull gave me delicious nightmares growing up and I cheered when she got her comeuppance in the end. This is a book that proficient readers will enjoy and cherish. And finally, for readers who like early chapter books, Frindle by Andrew Clements which features memorable characters and a brilliantly weaved plot. KM: I have a pet Beta fish called Bubbles and a pet Shih Tzu called Oreo. I think it’s time for a Kangaroo. I’d call her Jumper. TGL: If you had to write a story about an object/human around you, what would it be about and why? 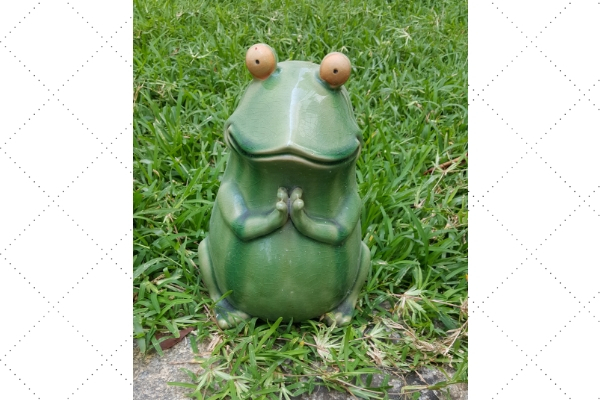 KM: I would choose to write about the giant ceramic frog in my garden. The garden creatures seem to have an affinity for it. I get the sense that he could moonlight as a professional agony aunt. Perhaps he could offer sage advice to the insects and help them navigate through problems that are bugging them. It was so good getting to know the author behind GetLitt!’s most popular books. We’re so grateful that Karishma Mahbubani decided to pursue her passion of becoming an author. We can’t imagine what the world would be like without her children’s books. We have many inspiring Indian authors and their books in our library, so if you and your child need something to read, do subscribe! Read More: 18 Award Winning Books by Indian Authors Available on GetLitt!